Barbie has undergone many changes since her entrance into the toy world in 1959. Originally, you could only choose between getting Barbie as a blonde or a brunette but over the years Matell has given consumers the choice between varying skin tones, body shapes and professions for their dolls. While Barbie as a politician or an astronaut has brought praises, a Barbie that delivers pups with the help of children pressing on the mommy dog’s head has raised red flags for people trying to save the lives of shelter dogs. “More than 6 million dogs and cats enter U.S. animal shelters every year, yet only about half of them are adopted. As a result, millions of animals—many of them healthy, young, and adoptable—must be euthanized every year, simply because there aren’t enough good homes,” PETA writes. Mattel’s product description frames the toy as a way for animal lovers to learn the responsibility of birthing and caring for puppies as well as discovering the fun of owning pets and the joy of engaging in play. PETA argues that the toy company should be teaching children how to be responsible animal guardians, which means having their dogs spayed or neutered and opting for a shelter instead of a breeder when bringing a puppy into their homes. 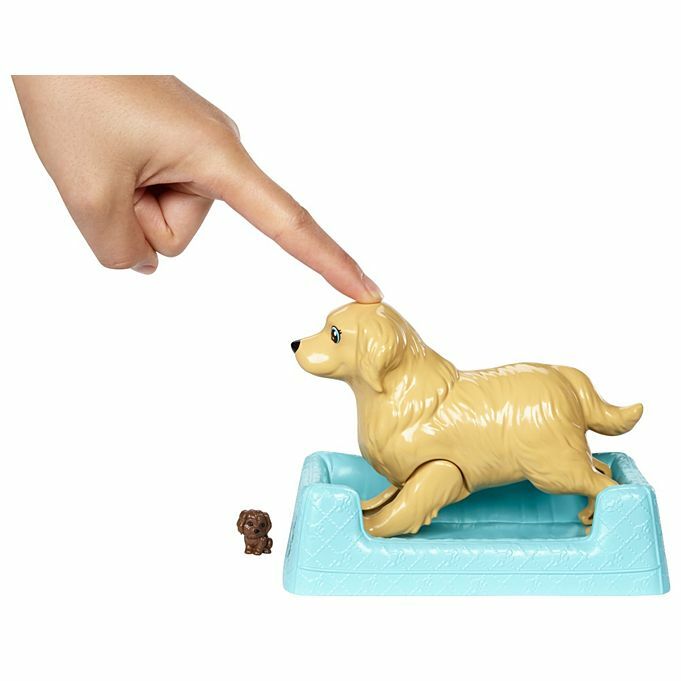 The reviews on Mattel’s page for the dilating dogs remain fairly positive – only one consumer says the product is problematic based on its age inappropriateness. PETA has gained some traction online, however, with Twitter shares of the petition. Barbie Newborn Pups doll remains on sale for $19.99. Sarah McLachlan’s sad song sold separately.